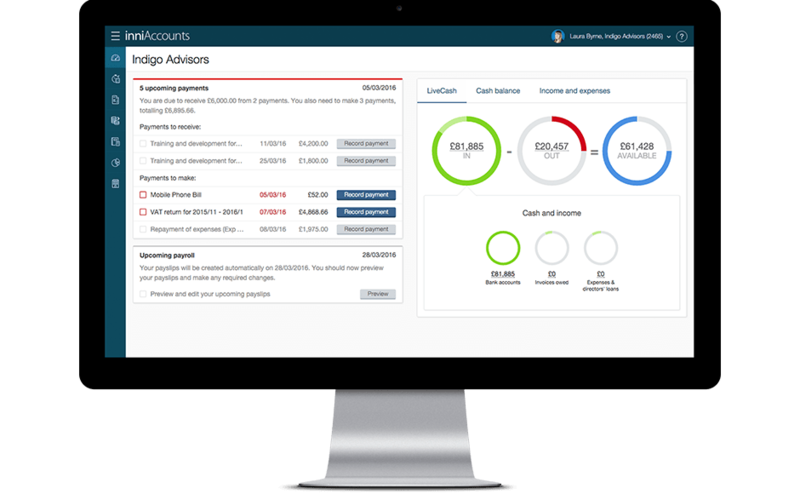 The hot topic on many contractor forums this month has been the news that, from 31st June, ClearSky Accounting has almost doubled its monthly subscription fee from £66 to £120. This hefty price hike applies not only to new customers but also to the current customer base (all of whom recently received a polite letter giving them the good news) and here in the inni office we’ve already switched a number of disgruntled ClearSky customers over to our online accounting service. Our accountants (although you really don’t need to be an accountant to perform this kind of maths) have calculated that ClearSky customers will now be paying an additional £792 for their accounting, but ClearSky themselves have remained fairly reticent in providing an explanation of the changes, except to indicate that they are a result of a three year price freeze ending last month. But as one disgruntled (and on the ball) customer has pointed out on the contractoruk.com forum, had this freeze not been in place ClearSky would have needed to hike their prices by 25% each year to achieve the same end result – hardly a standard rate increase for a clear thinking business. You’ll save money. At £64.95 per month, our accountancy service can save you over £600 per year compared to the new ClearSky subscription fees. You’ll get more. As an inniAccounts customer not only will you receive a full accounting service, you’ll also get access to our online accounting software, which removes the burden of day-to-day tasks like expense tracking, invoicing and payroll. Explore inniAccounts to find out exactly what our online service can do for you. Switching is easy. If you decide to switch to inniAccounts there’ll be no hassle on your part at all, and that’s a promise. We’ll contact ClearSky on your behalf and arrange for your accounts to be sent over, plus we’ll set up your online service – and we don’t charge a fee for joining. In a nutshell, we’re a ClearSky alternative with added value. If you have any questions about our service or you’d like to find out more about switching to inniAccounts e-mail clearsky-switch@inniaccounts.co.uk or give us a call on 08000 337 827. If you’re already with inniAccounts but you have colleagues looking for a ClearSky alternative, why not take advantage of our referral scheme and save them (as well as yourself) even more money every month?